It’s been exactly 15 years since I last visited Disney. I planned this trip knowing it may be another 15 years before we visit these Florida parks again. As a family, we are a pretty driven, goal-oriented sort. I knew we could see both Universal parks and two of the Disney parks -kamikaze style. Here’s how we did Disney and Universal in one trip while maintaining our sanity and loving every minute of it. I had only three weeks to research and read every blog article on Trekaroo about Disney and Universal to plan for our epic trip. While tucked in bed with a nasty cold, I poured over The Unofficial Guide to Walt Disney World by Sehlinger and Testa. I researched surreptitiously since this was supposed to be a surprise (last minute) trip for the kids. I needed to first figure out what to see, when to go, and then, on which days to go. If you purchase the guidebook, you get a discount to join The Touring Plan. This enables you to see the Crowd Calendar for both Disney and Universal, and a mobile Lines app, which comes in mighty handy when trying to determine which rides to go on and how long the wait time would be. Why not use the Disney app? Because it’s biased trying to steer and scatter crowds. The additional benefit with the Lines app is that it enables you to access one of their existing touring plans to help you strategize what to see and in which order for attractions at both Disney and Universal. The Touring Plans’ one or two-day itinerary are pure gold. For this frugal mom cramming to figure out what to see and when to go, it was worth buying the guidebook! Hint: The Touring Plan suggests bucking the FastPass+ system by using all three passes before noon, so that you can use up to three more FastPasses for the afternoon and evening. Brilliant. Since we are huge fans of Mr. Potter, I knew we wanted to see all of Harry Potter World. The only problem was that Universal has cleverly split Harry Potter Worlds into their two parks. Hogsmeade resides at Island of Adventure and Diagon Alley at Universal Studios. The two parks/one day pass is the only way to ride Hogwarts Express that takes visitors across both parks. So, we decided to see both of the Universal parks in one day. We fully experienced all of Harry Potter World, both Hogsmeade and Diagon Alley, in addition to the other epic rides at Universal. Check the Crowd Calendar on www.touringplans.com for a nominal fee to determine which day to spend at either Universal and/or Disney. Or check out the free Crowd Calendar on Undercover Tourist to determine which days to spend at Disney. If you do decide to subscribe to Touring Plans, be sure to download the Lines app, follow their suggested touring plans, and get updates on the parks. With the app, parents know which ride is closed and won’t have to trek across the park with a 4-year old to find out. Check out this guide to Universal’s newest park Volcano Bay. 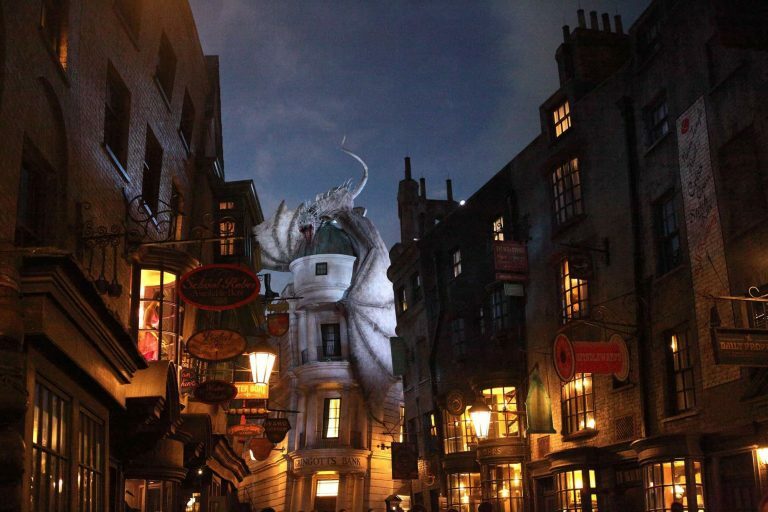 Check out our top tips for where to take your biggest Harry Potter fan. After the 18-hour road trek to Orlando, I was glad we chose to stay at Lake Buena Vista Suites for its high ratings and free breakfast located just outside of Disney. It was a slightly longer drive to Universal, but worked fine for us. 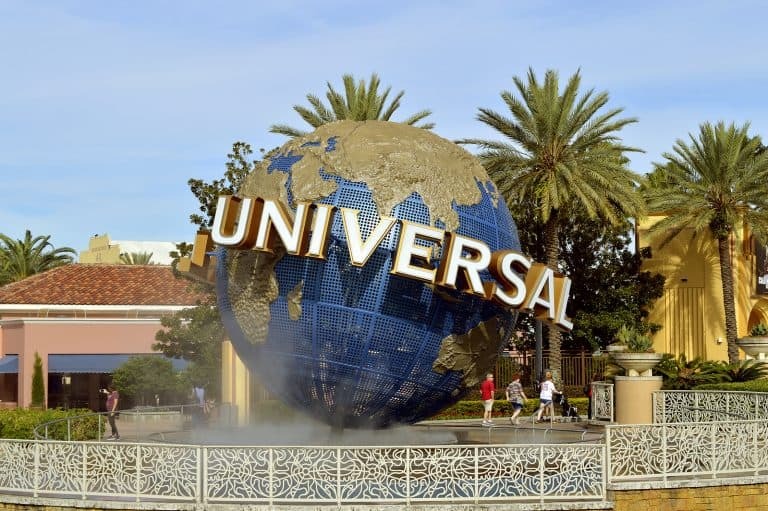 One of the perks I considered was staying at one of the Universal resorts. Namely, guests have early morning entrance and free Express Pass (except at Cabana Bay and Sapphire Falls). Prices at both Disney and Universal are differentiated by peak ($$$) and non-peak ($$) times to visit. I bought our Disney tickets directly through the Walt Disney World website, but bought our Universal tickets through Orlando Ticket Connection. It offered the lowest prices compared to Universal’s online prices on park-to-park tickets. Note that these online tickets are delivered electronically. However, print them out to show proof in person once you’re at the gates in front of Universal. Tip: You’ll need to show the park-to-park ticket again to the clerk in front of Hogwarts Express. 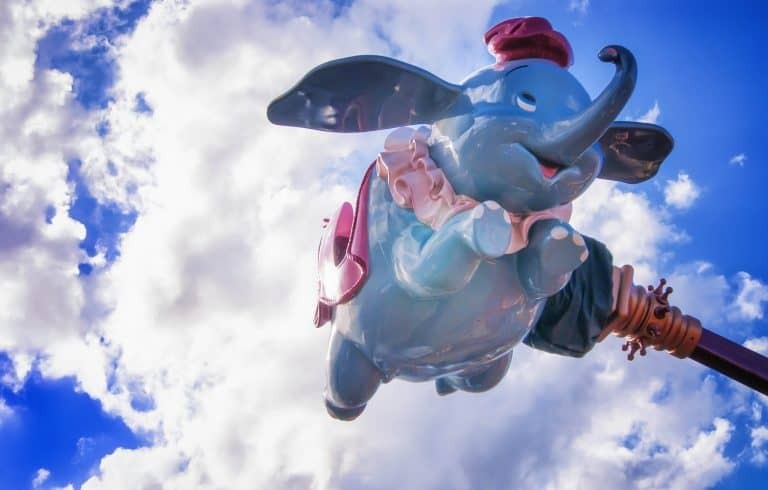 Families spending four or five more days at the Disney parks may want to purchase Disney tickets through Undercover Tourist for better discounts. Although I ended up not purchasing tickets from Undercover Tourist, since we were only planning to be at Disney for two days, their customer service was stellar. They were both honest and hugely helpful. We purchased Disney tickets through the WDW website, which sent them electronically to my email. I showed the e-receipt of purchase through my phone at the front gates and it was just that easy. Create an account on the WDW website: My Disney Experience. Make Advanced Dining Reservation up to 180 days in advance and choose a character restaurant if still available. Double check the kids’ heights to see if they are (un)eligible for certain rides. Secure FastPass+ Reservations 30 or 60 days in advance. Check out The Touring Plan or its companion guidebook, The Unofficial Guide to Walt Disney World. It contains valuable tips for both Disney AND Universal. Looking to do a long Disney trip and want budgeting ideas? Here’s how one of our writers budgeted her Disney World trip for a family of five. Our first night was at STK in Disney Springs for an amazing steak dinner celebrating my husband’s birthday. The lights were aglow, the music was pumping, and the food was fabulous. It’s a magical place to begin your vacation. Afterwards, we headed for the Disney World Shop. We wanted to maximize our time at the theme parks on rides and attractions, so we did most all of our souvenir and gift shopping outside of the parks. If you want to shop at the Disney Store, park in the Lime Parking Garage. Plus, look out for the new restaurant called The Edison named after the ingenious Thomas Edison; he must be rolling in his grave -then again, maybe not. We spent our first day at both Universal parks, Islands of Adventure and Universal Studios, using our two parks/one day pass. We tackled all of Harry Potter World including the blockbuster rides: The Amazing Spiderman, Men in Black Alien Attack, The Simpsons, and Despicable Me Minion -the kids’ preferred order of favorites. The next day we went to the Magic Kingdom and it was -well, magical. On our third and final day, we toured Epcot and its holiday-around-the-world festivities. Visiting the four theme parks in this order worked well. We started with the most thrilling rides and ended with more reflective attractions. Yes, we packed a lot into all three days, but remember? We did this kamikaze style. And you can do Disney and Universal in one trip, too. Check out Trekaroo’s Ultimate Guide to Road Trips with Kids before taking your next epic road trip. This trip was not sponsored and I was not compensated in any way.